Want to build your business without a million dollar marketing budget? Most small businesses do more than want that -- they need to do it. 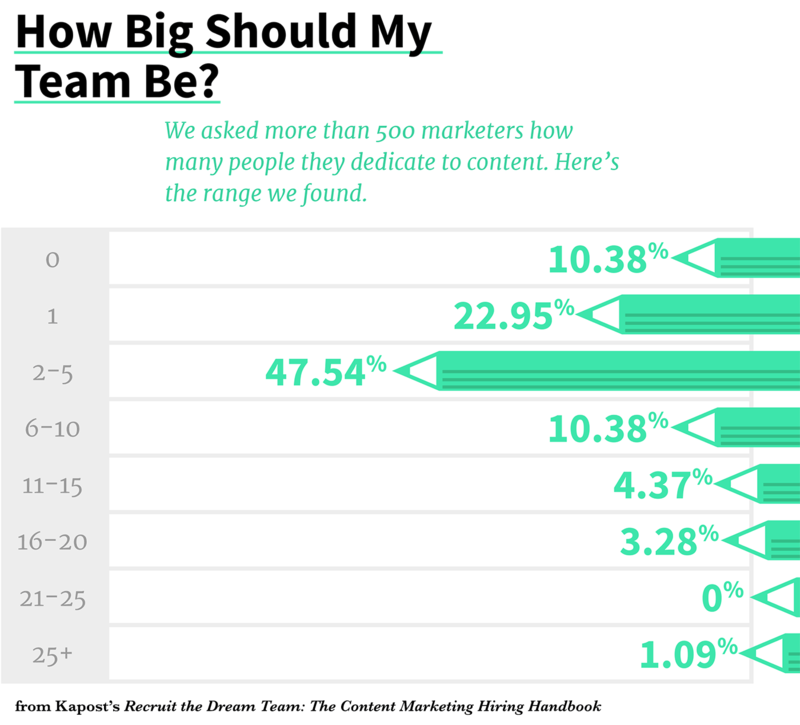 What’s most interesting here is that more than one in five of the companies Kapost surveyed has a one-person content marketing staff. One in ten has no full-time staff member -- it’s someone doing all the content marketing work part-time.